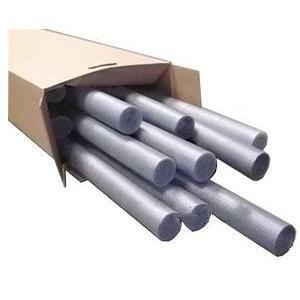 PRODUCT: 2" Diameter Backer Rod, CLOSED CELL, 252'/Carton in 6-Foot Lengths (42 pieces). Price/Carton. (color could be gray or charcoal). D oes not stick to sealants. Exceeds ASTM standards for bond breaker materials. No bond breaker is required.